The concert schedule in December gets all gummed up with Nutcrackers, Messiahs, and Jingle Bell nonsense, but there are still a few good things to hear. Some of this belongs in the tinsel category, but only the things that should actually be worth hearing. 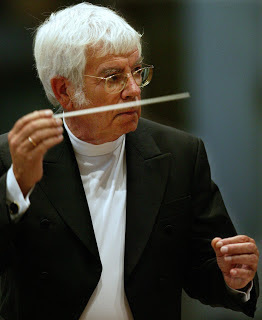 Helmuth Rilling returns to the podium of the National Symphony Orchestra (December 4 to 6), leading an all-Bach program. The third orchestral suite and a concerto for oboe and violin (featuring two of the ensemble's principal musicians) set off two cantatas for Christmas Day, Unser Mund sei voll Lachens (BWV 110) and Christen, ätzet diesen Tag (BWV 63). Bach performed the latter work, composed around 1713, for his first Christmas as Thomaskantor in Leipzig. The University of Maryland Symphony Orchestra and Wind Orchestra join forces for yet another intriguing program (December 5). Sibelius's sixth symphony is paired with Milhaud’s La Création du Monde and Stravinsky’s Octet, with conductor Michael Votta at the helm. Francesca Zambello brings Rachel Portman's opera The Little Prince to Washington National Opera, with five performances in the Kennedy Center Terrace Theater (December 19 to 21). The work had a mixed reception at New York City Opera in 2005, but we are very much looking forward to forming our own opinion -- with Miss Ionarts in tow, of course. Opera Bel Cantanti mounts a rare production of a classic Viennese operetta, Kálmán's Die Csárdásfürstin, at the Randolph Road Theater in Silver Spring (December 19 and 21). Take with several glasses of champagne and call the doctor in the morning. 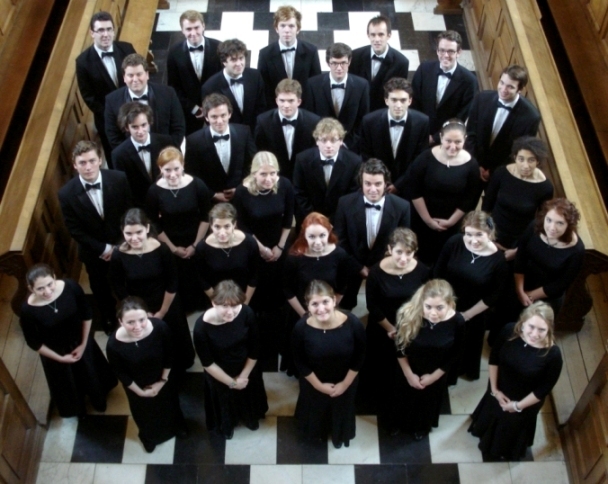 The Choir of Clare College, Cambridge, performs a free concert at the Library of Congress (December 6). The program includes music by Monteverdi, Britten, Schoenberg, and Irving Fine, the last as part of that composer's centennial celebration at the Library. The always charming Baltimore Consort performs a program of music from the Spanish Renaissance on the free concert series at the National Gallery of Art (December 14). The Emerson String Quartet performs on its Smithsonian Associates series at the National Museum of Natural History (December 7), with excerpts of Bach's Art of Fugue, paired well with Beethoven's Große Fuge. The Ariel Quartet performs music by Israeli composers Paul Ben-Haim, Mark Kopytman, and Menachem Wiesenberg, in a concert sponsored by Pro Musica Hebraica (December 14) in the Kennedy Center Terrace Theater. We always enjoy the celebration of legendary violin maker Stradivari at the Library of Congress. This year the St. Lawrence String Quartet gets the honor of taking some of the Library's Strads for a spin (December 18). The program includes one of Mozart's glorious string quintets, with violist Hsin-Yun Huang. 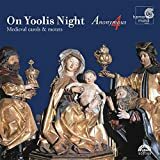 Anonymous 4, who know how to give a good Christmas concert, will present their On Yoolis Night program of Christmas music from British sources at the Kennedy Center Terrace Theater (December 11). The other contender for the coveted Ionarts Sugar Plum Award, for the year's best Christmas concert, will likely be the Folger Consort's Renaissance Christmas program (December 16 to 23), in the lovely venue of the Folger Shakespeare Library's theater. This year the focus is on music of Flanders and Italy around the year 1500. Miss Ionarts insists on attending at least one (preferably several) performances of The Nutcracker each December. The one we will definitely not miss this year is presented by Ballet West, last reviewed in 2012. The choreography by William Christensen (December 10 to 14) plays beautifully in the Kennedy Center Opera House. The singers were good, and the chorus was delightful, but otherwise the Rilling all-Bach concert was a disappointment. The orchestra was not crisp, or energetic, or disciplined. The brass (which is often the best part of baroque suites) seemed especially lackluster. Compared to superb recent baroque concerts by Akademie fur Alte Musik (Library of Congress) and Les Violons du Roy (Strathmore), the orchestra almost reminded me of a (conservatory) student orchestra. I kept thinking "Did they not have time to practice? Are they tired or sick or hung over? Is this the first time they have played baroque music?" Like Simone Dinerstein's Goldberg Variations at Strathmore,it made me think "oh, THAT'S why some people think Bach is boring." I even considered leaving at intermission (but did not). Note: I love Bach and even went to Bachfest Leipzig 2012.